Yesterday, Boothbait and I went on an adventure to the Big City (NYC) and visited the Tolkien exhibition at the Morgan Library. This is a collection of artwork, notes, and manuscripts from J.R.R. Tolkien, brought here by the Morgan through the Bodleian Library and the Tolkien estate. In case you don’t already know, I love The Hobbit. I re-read it almost annually. This book was an escape for me while I was growing up. 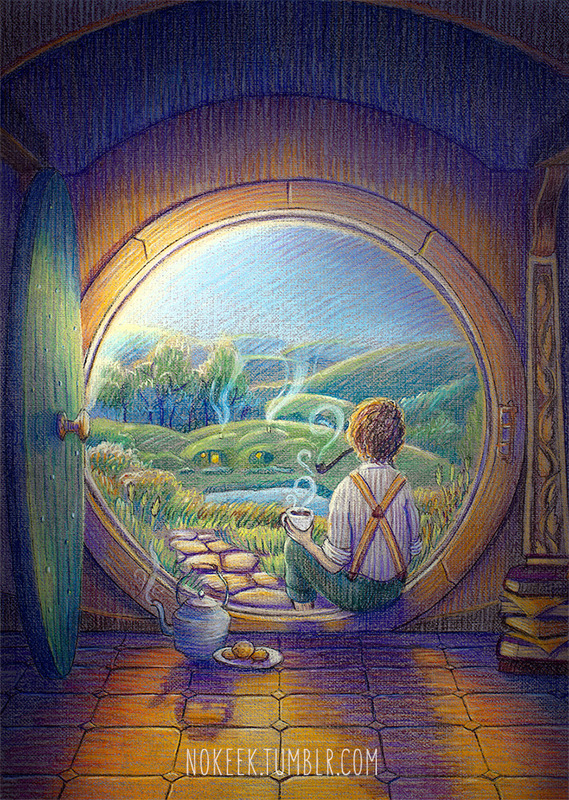 No matter what was going on in real life, I knew I could open up my book and Bilbo would be there, waiting for me. To be in the same room as the original artwork? I never thought it possible. To have a bag I made from the original artwork in a photo with the original artwork? The possibility was inconceivable to me. But it happened. There were also drinks with friends at the Algonquin Hotel, a super cool Japanese stationery store, and an amazing pastrami reuben. All in all, a very good day in the city. If you are interested in having your very own Hobbit bag, I did a little inventory and found that I have a few cuts available – go here to see what I have!